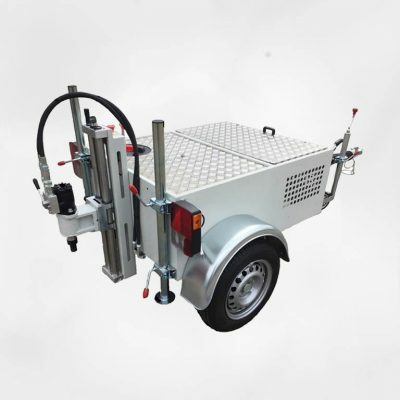 Rugged, compact, manouverable coring trailer which outperforms all manually fed or direct engine driven machines. 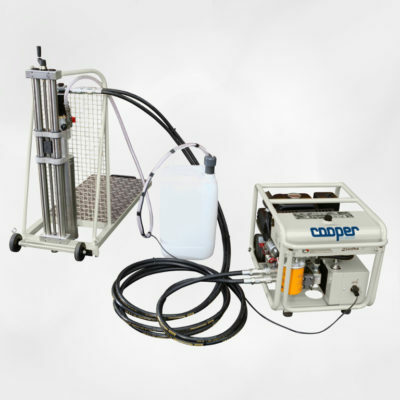 To carry out any form of testing straight & clean sided core samples are required. Vibration of a diamond core drill during the coring process will result in a badly finished core that will need to be ‘dressed’ before any meaningful testing can be carried out. In addition, vibration of a core drill will also quickly damage the diamond cutting face by erosion of the individual diamonds resulting in rapid wear rates. Coring should always be carried out using a rigid, stable & vibration free operating platform to ensure the integrity of core samples. 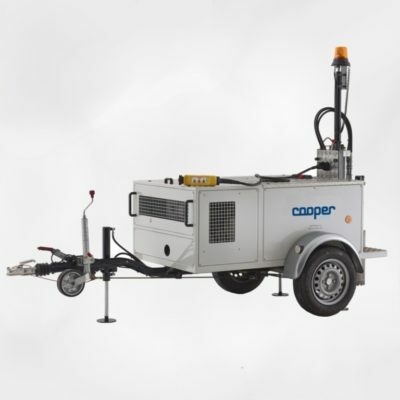 Cooper Technology’s CRT-T1 Towable Core Drilling Machine is a self contained hydraulically driven diamond drilling trailer for taking core samples in roads or airport runways with concrete or asphalt surfaces. 10 hours of normal working is possible with the 30 litres fuel tank & 500 litre water tank. Drill depths of 650mm as standard with extension bars for deeper drilling. ‘Proportional’ feed system allows fast & safe coring even through steel reinforcement bars. ‘Automatic’ Soft Start Drilling feature ideal for in-experienced operators. ‘Two-function’ Emergency Stop prevents any run-on of the drill whilst the engine is stopping. 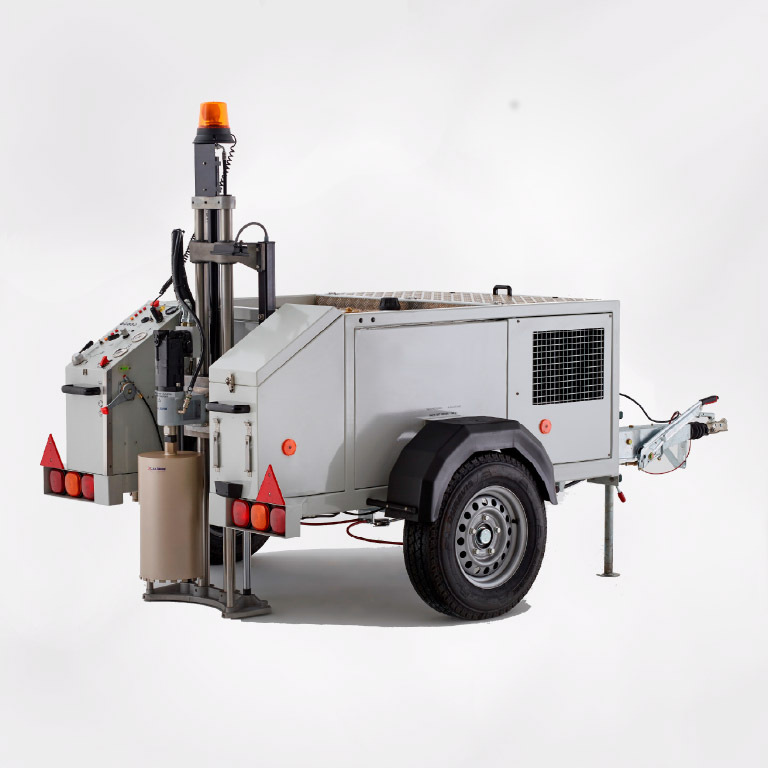 Power take-off facility for driving a hydraulic road breaker or hydraulic tamper. Unladen weight 980 Kgs, laden weight 1480 Kgs. 103 dB Maximum noise level. Can be towed in the UK using a commercial vehicle with a minimum GLW of +1500 Kgs.